Mercedes-Benz has given its best-selling model, the C-Class, a minor refresh - but you'll have to look hard to spot the difference. Both the Saloon and Estate have been given some small design tweaks but it's under the bonnet where the time has really been spent, with the manufacturer claiming the latest version has more than 2000 new components. The firm claims that efficiency is up by 31 per cent across the range. All models will come with start/stop, while automatic models get the latest version of the seven-speed auto 'box. All petrol engines are now direct injection. While the main focus is on clean and efficient engines a new V6 petrol model is also being offered. Topping the engine range the 302bhp petrol V6 will reach 62mph in 6seconds but still achieve a claimed 41.5mpg. 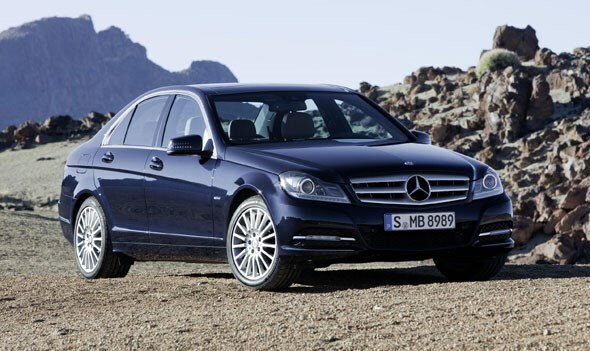 The best option for fuel economy and low road tax is the C220 CDI with the six-speed manual gearbox. This will get 64mpg and with CO2 figures of 117g/km will cost just £30 per annum to tax. As well as performance the Mercedes-Benz forte now seems to be safety. The latest C-Class will get 10 additional features including active lane keeping assist, attention assist, speed limit assist and parking guidance. The subtle exterior changes include a new front bumper, redesigned grille surround, new headlights that include daytime running lights, while the bonnet is now made from aluminium in an attempt to save weight. Inside the dashboard has had a bit of an upgrade with a redesign that houses the new integrated sat nav screen while it has a surface grain according to the company. 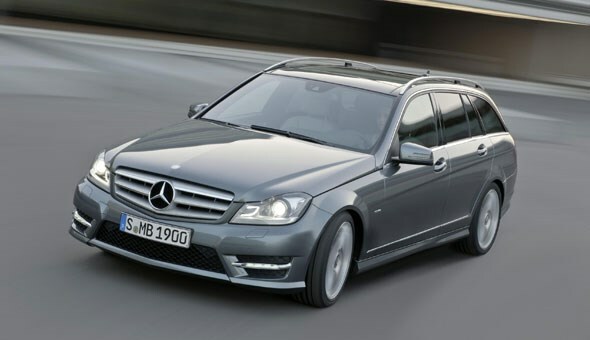 The new C-Class goes on sale in spring 2011 with prices expected to start at £25,000 for the saloon model with a premium of around £1,000 for the estate version.